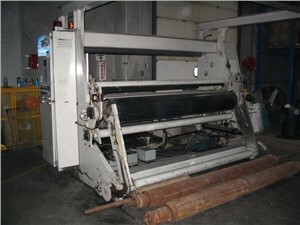 Winders are used to wrap rolls of plastic sheet, film or pipe onto a roll. For film and sheet, the major typed can be segregated into surface winders and core-driven winders. The surface winder is used for large rolls and is wound by a drive on a drum. The product to roll is loaded against the drum and wound via the surface contact between the product and the drum. The core-driven winder the product is wound from the center of the product. There are several styles of winder. The first distinction is cored or coreless. In core winding, the product is wound around a core. In coreless the product is only wound around itself. The next variation is whether the machine is a stationary winder, a single turret or dual turret, which allow for different speeds of winding and unloading. Sometimes used in small film and in winding of pipe and wire, you will find a cantilever winder. Instead of being wound in between two spindles, the product is place on the winding mechanism from one side.